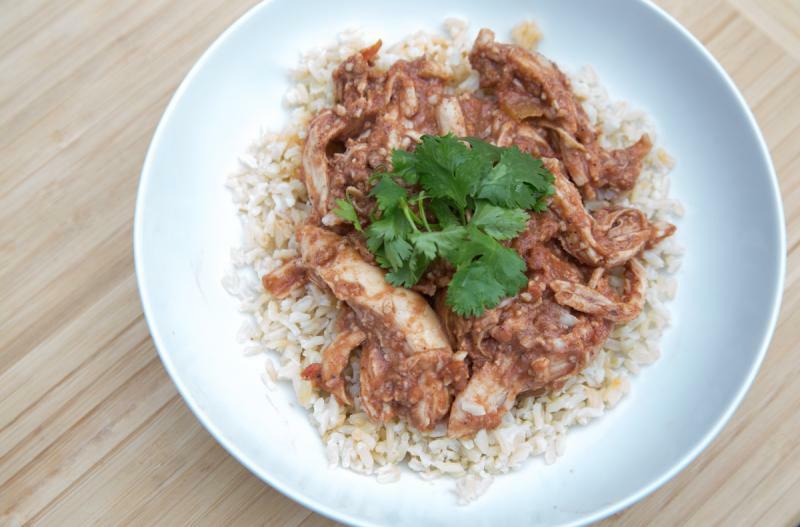 Cut the chicken into 1-inch pieces and place into the electric pressure cooker insert with the hot water. Add the onion and ginger around the chicken. In a large mixing bowl, whisk together the crushed tomatoes, yogurt, minced garlic, garam masala and a few pinches of salt and pepper. Pour over the chicken in the electric pressure cooker insert. 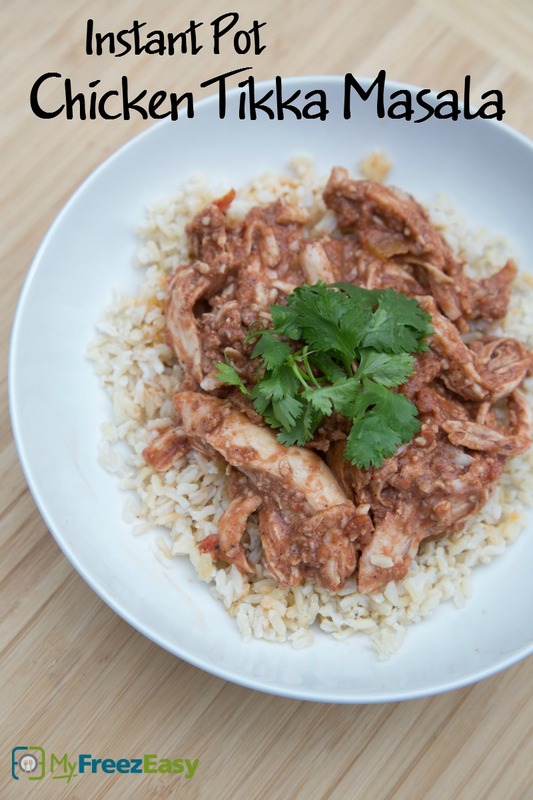 Serve Instant Pot Chicken Tikka Masala with cilantro garnish over rice with side salad.